She hasn’t spoken to her half-sister Rachel–the only family she has left–since Rachel stole her boyfriend, and Brenda hasn’t dated since. Now Rachel and the man Brenda once thought she’d marry herself are expecting a child, and Rachel keeps inviting her over to have dinner with them. To make up for the coffee he spilled on her, Brenda asks the handsome stranger one favor: to accompany her to her sister’s Christmas dinner. He agrees on one condition: that she go out with him in the meantime until then. 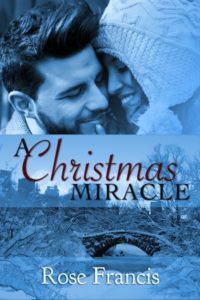 They both agree to end their arrangement after the Christmas dinner is over, despite mutual growing feelings of wanting more.Brenda is determined to keep her heart protected, but can Alex hold on to the scared beauty for longer than the holiday season?